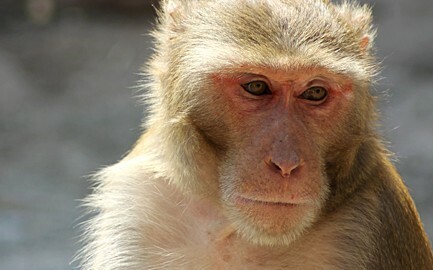 Visit the monkeytemple, Galtaji temple in Jaipur, Rajasthan. Climb up the stairs on the right side of the Galtaji temple and see the monkeys wrestle. Trekk a bit further and you’ll reach the top of the mountain. There will be a temple waiting for you there where people come to pray. You can buy bananas at the entrance, eldrely men and women sell them to raise money for the temple. There weren’t that many people around the temple when we visited it like it was in other places we visited. So it’s a nice break if you would like to escape the touristy areas for a while.